Sylvestermouse, you always do a fantastic job of reviewing movies, and this review is no exception. You have certainly snared my interest in seeing this movie. Thank you Elf! It is a great movie and one that we all enjoyed. I am so out of touch. I've never watched or read any Harry Potter books. *Hiding my face while typing! * These reviews are breaking me down and I'll have to watch Fantastic Beasts and the Harry Potter movies. My mom took the time to watch the Harry Potter series one day, and she really enjoyed it. Am going to have to get with the program! Barabara! I was trying to figure out how to make a similar comment. You've worded it so nicely. I've tried to watch a Harry Potter movie a couple of times - I think always when traveling and I always feel asleep. I have some catching up to do too. This sounds like an interesting movie. Just like Barbara, I never read the Harry Potter books and I've seen only the first movie. My reason for not reading the books was - that at the time they were being published, I was starting to write novels. I noticed that many of my fellow newbie novelists were writing Harry Potterish type fantasy novels, and I didn't want to join the crowd. I wanted to write something unique, so I didn't read Harry Potter so that it wouldn't change my writing style. Anyhow, I know Harry Potter fans will love the movie telling more of his backstory. Barbara, Dawn Rae & Linda Jo, Newt Scamander was originally introduced as a text book author in the Harry Potter series, but we didn't actually go back in time to meet him until the Fantastic Beasts movies. (They were both screenplays and not books) Honestly, I personally like Newt better than Harry Potter. 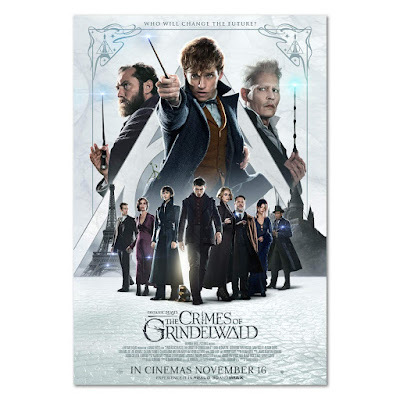 While there are a few touches in the movie that Harry Potter fans will appreciate, Newt and his fabulous beasts have established their own place without previous Harry Potter interest required. 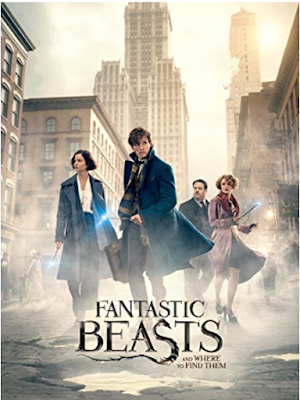 I hope you will all go see, or rent when available, the Fantastic Beasts movies. It would be hard to not love Newt.